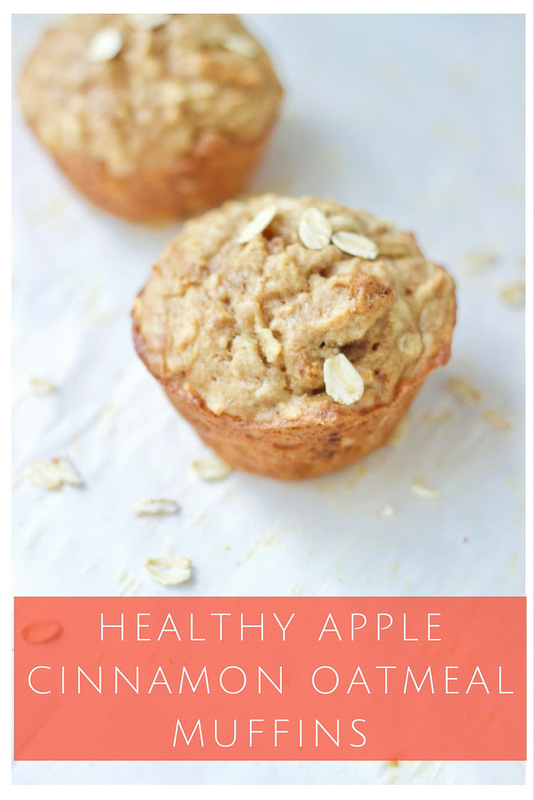 These healthy apple cinnamon oatmeal muffins are packed with juicy pieces of apple, fragrant cinnamon, and wholesome oats. Make them today for a snack or breakfast tomorrow. Happy November! 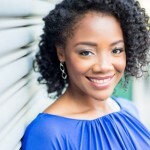 I’m typing this post in a maxi dress while sitting on my front porch with a glass of ice water and Biscuit (my dog) next to me. The sky is a perfect shade of blue. The sun is warm and bright. It’s 83 degrees – in November. Atlanta has had record-breaking heat over the past couple weeks and I’m not mad about it. It’s like a bonus summer! Are you experiencing fluky fall weather too? If you want out, I’ve got the remedy. 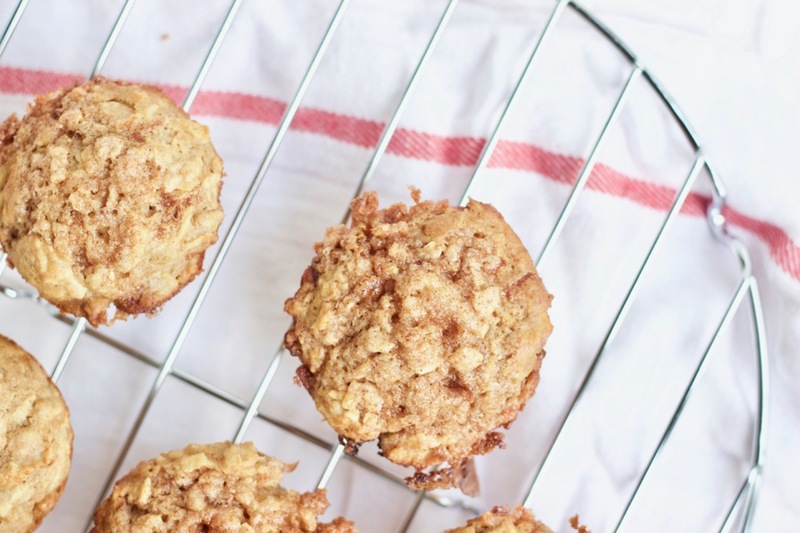 If it doesn’t feel like fall where you are, these Apple Oatmeal Muffins will help. I promise. Once these muffins start baking, the house will smell like fall. The heartwarming aroma will give you all the fall feels. Enjoy these for breakfast tomorrow. Smear a muffin with a little nut butter or eat it plain. Preheat oven to 400°F. Lightly spray or grease a muffin tin with oil. Set aside. In a large bowl, combine oats and buttermilk. Let sit 15 minutes. In a second mixing bowl, whisk flour, baking soda, baking powder, salt and cinnamon. Stir the oil, egg, brown sugar and vanilla into the soaked oat mixture. Add dry ingredients. Stir just until combined. Do not overmix. Gently fold apples into the batter. Remove from the oven. Let the muffins cool in the pan 5 minutes. Transfer to a cooling rack. TIP: These muffins are best served warm. They also freeze and reheat incredibly well. To enjoy after freezing, thaw at room temperature or heat frozen muffins in a 350F oven for 10-15 minutes. NOTE: I don’t recommend using paper muffin cups in this recipe. Baking directly on the muffin tin produced the best results – keeping the moisture in and creating a nice crust on the outside. Go ahead a make a batch. Let me know what you think. LOVE the ingredients (grated apples!) & what came out is pure gold! 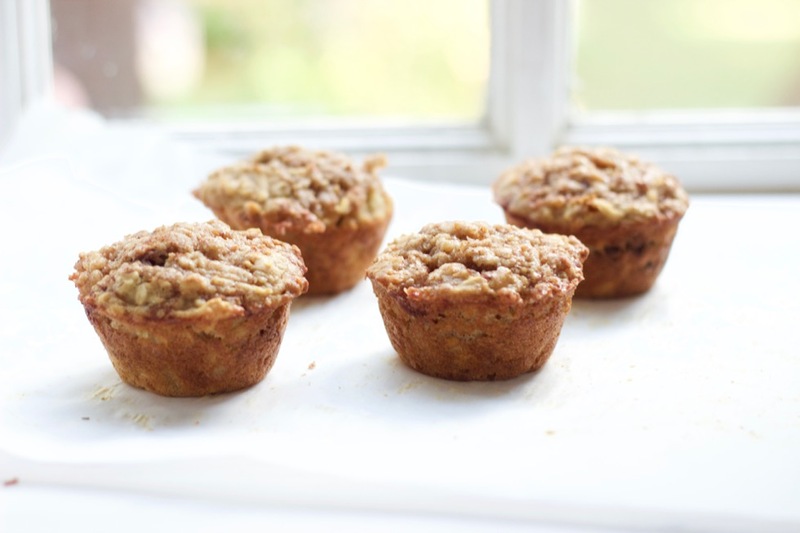 Took a batch o a morning meetup & everyone agreed it's the best apple muffins they've had. I'll have to make double batches next time.